Previously, we mentioned that each arrow is a separate geometry. At this point, the outer contour still consists of several geometry. 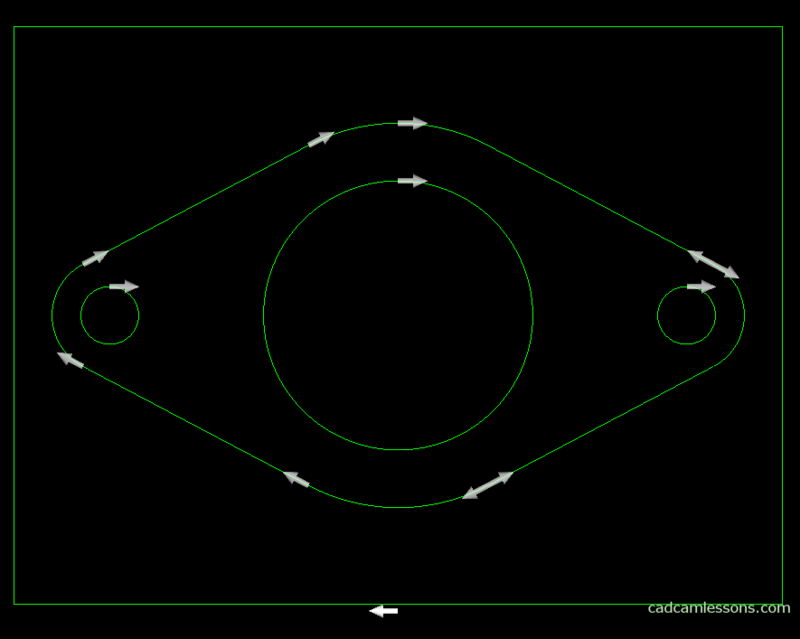 To machine it properly, we need the outer contour to be one closed geometry. The Join function will help us with this. Choose Edit | Join. On the command line, the JOIN: Select Geometries/Tool Paths appeared. We can point geometries one by one by clicking LMB on the ones we want to join. Or, as in our case, just click the All button on the command line and accept by clicking RMB. 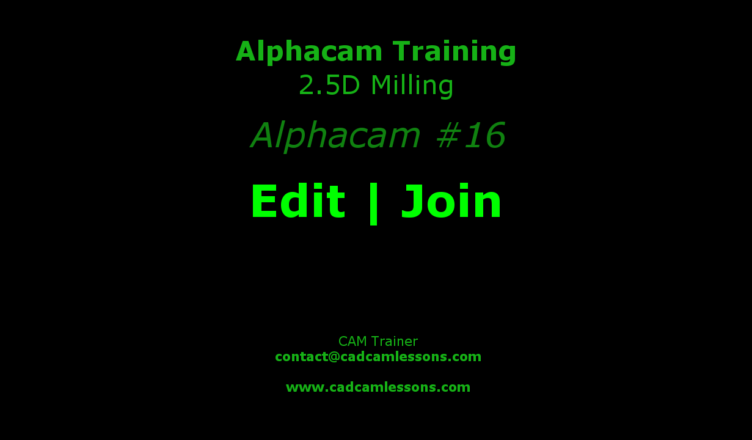 Alphacam will join these geometries that can be joined with each other. So, those that come into contact with each other. 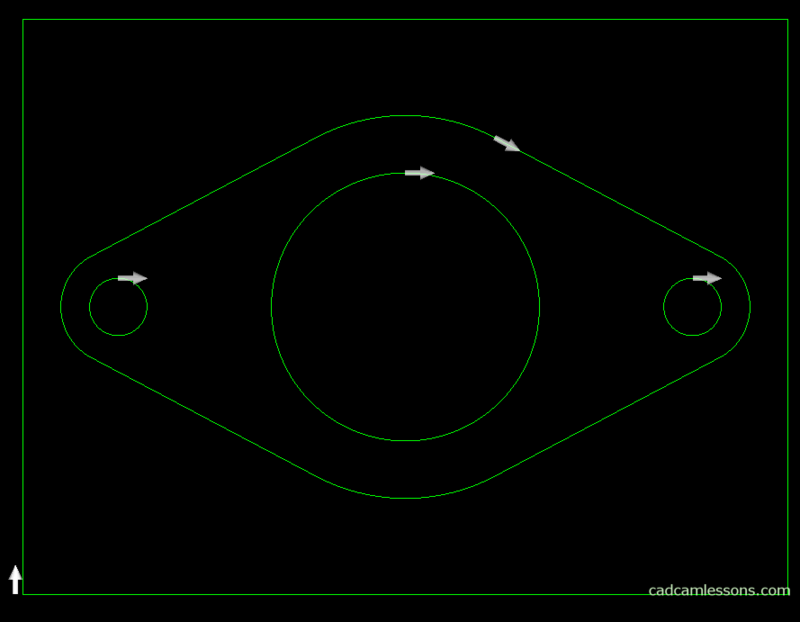 This function will not affect on the joined geometry (except that it has changed the entry point for the rectangle).